Let’s be honest, the first companies to use a social media platform see the biggest returns. Furthermore, despite all the noise, the market is not yet saturated and the cost of paid marketing is relatively low. So, where are the opportunities for the business owner right now? What social media platform has the highest upside growth or potential? 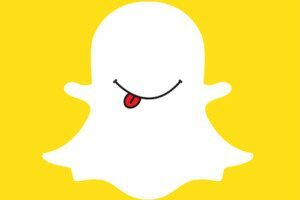 In 2016, Snapchat had over 7 billion views per day. In early 2017, they have over 150 million daily users (more than Twitter). They boost 4 times higher rate of engagement than similar platforms. But, the number of companies using Snapchat for business remains low. Snapchat for business is a numbers game. Whether is the age range or length of airtime, you have to play Snapchat different than other social media platforms. First, Snapchat sees the largest number of users between ages 12-34…and anyone can access your Snaps if they follow you. That means, keep it clean people. Snapchat is not the place to post questionable material or foul language in your videos (even if by accident). While many companies use Snapchat that a 12-years-old cannot partake (like bars, breweries and marijuana stores), the language and message needs to remain above board. Second, you have seven seconds. That is the average length of photo and video snaps. Use it wisely. While there is a replay function, it is rarely used and saved for more important snaps, like that one girl from the party’s daily selfie or that dog that fell in a bowl of Rice Krispies. Snapchat for Business—what is it good for? Snapchat is great for getting the word out about your business while also letting users see the unfiltered version of you. Ah, the infamous questions: who are you? what is your business personality? Snapchat can help you find that. Users love Snapchat for letting them see behind-the-scenes of companies and businesses. Have some fun employees? Have them take turns using Snapchat for the day (remember the 12-years-old). Or show users a never before seen side of your business (who is the person behind the voice answering the phones). Whether brick-and-mortar or online, using Snapchat for business can bring you new faces. The easiest way to capture users? Incentives and coupons. One study showed the college students were 58% more likely to shop at a business who had offered an incentive on Snapchat. Not reaching the following you had hoped for? Snapchat does offer some paid marketing options for those looking to drum up more followers and more business. Seen between Stories, Snap Ads are 10-second videos enticing users to swipe up to see more. If you don’t capture them, they move on to the next video. You are going to need to get creative. No use spending the money if the ad isn’t grabbing users’ attention. Snap Ads have 5 times higher conversion rates than traditional banner ads. Lenses are those silly filters including dog ears, voice changers and dancing versions of yourself. And now, you can create your own. The average user interacts with lenses for 20 seconds before going on to share with all of their followers and friends. The best lenses are hilarious and interactive. Taco Bell had success turning people into tacos. Gatorade had users laughing by recreating the game-winning Gatorade douse. Find something unique to your company and start there. With national campaigns reaching 40-60% of all Snapchat users in a day, Geo Filters have some power. Even on a small scale. Geo Filters allow those in your specified area to stamp their snaps with a location filter you created. Ever seen a snap with a city name or airport location? That is a Geo Filter. Pricing ranges from $5 for a small area (about a city block) to hundreds of thousands for a national campaign. Snapchat for business lets users get to know the real you while driving them to your business. Currently, it’s being left untouched by a majority of companies that don’t understand it. Leaving you (the informed business) with a wide-open marketing platform. All you need is a smartphone and a message.